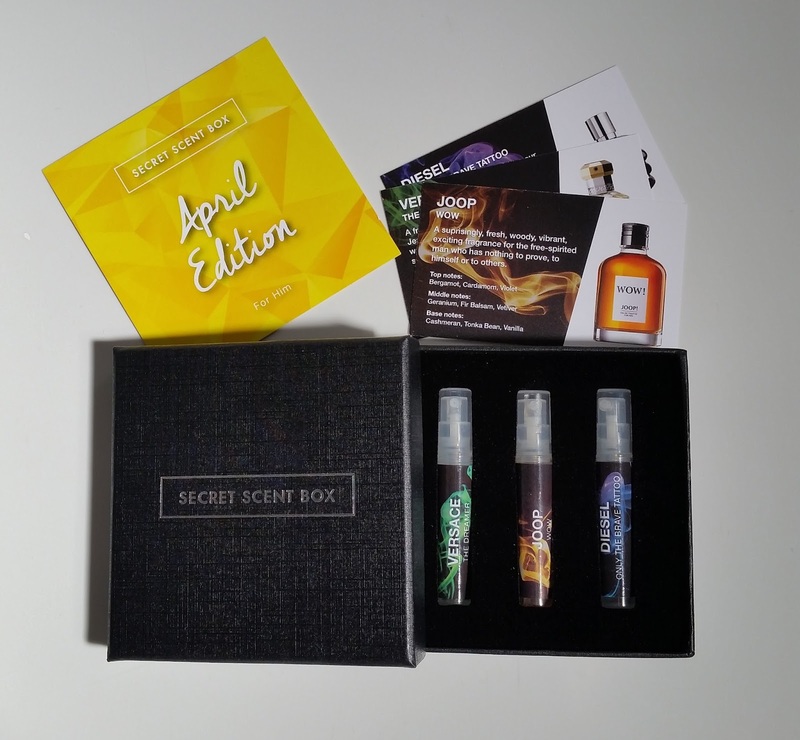 Secret Scent Box is a monthly subscription service that delivers new designer & branded perfumes as well as colognes, straight through your letter box with ease, thanks to its letter box friendly packaging. Each month, the Secret Scent Box team behind this great idea hand pick 3 mystery fragrances for you to discover in the sophisticated box the fragrances are kept safe in. Inside The Secret Scent Box. The Secret Scent Box lid, lifts off and there is a welcome card greeting you, plus three information cards detailing which scent is which. There is a label on each 3 ml scent telling you the name of the fragrances so u can match it up with the card, if you want to know the notes and description of each one. A surprisingly, fresh, woody, vibrant, exciting fragrance for the free-spirited man who has nothing to prove,to himself or others. Base Notes; Cashmeran, Tonka Bean, Vanilla. DIESEL - ONLY THE BRAVE TATTOO. Having the courage of wearing your convictions on your skin forever - this is the profile of the Only brave man. Top Notes; Red Apple, Mandarin Orange. Middle Notes; Sage, Bourbon Pepper. Base Notes; Ambery Wood, Tobacco, Patchouli. A fragrance created by perfumer Jean-Pierre Bethouart to be both warm and fresh which gives a sensation of well being. Top Notes; Juniper, Mugwort, Tarragon. Middle Notes; Ambered Lily, Flax Flowers, Iris. Base Notes; Amber, Tobacco Flower. As you can read from above, i received in my April Secret Scent Box three top quality scents that are each unique from their individual notes. I really like this scent box and the whole idea based around it. 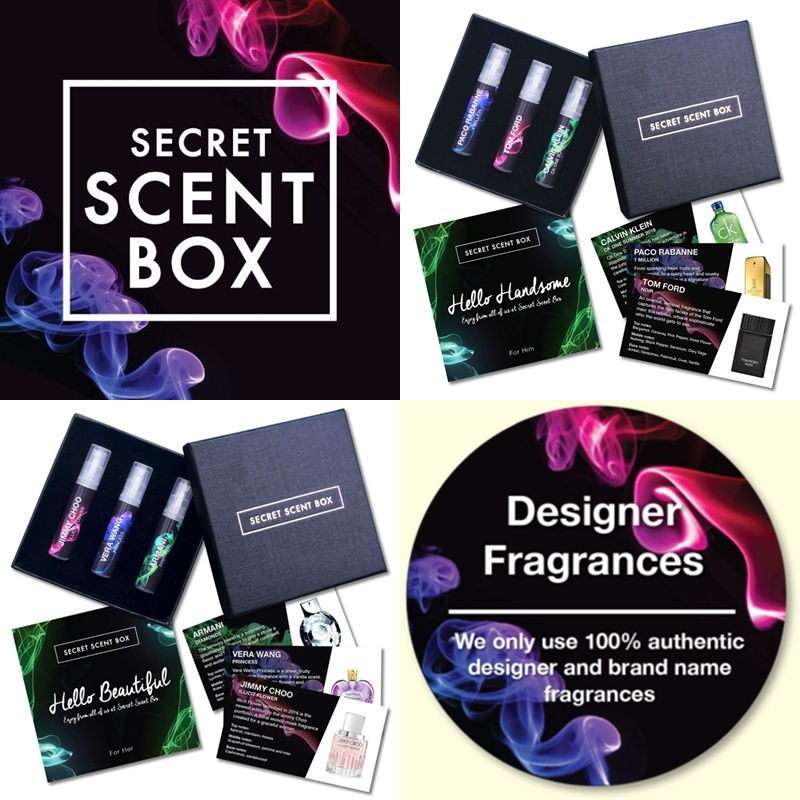 Secret Scent Box delivers scents to the customer that you may not spot in the shop or be aware of, plus the element of mystery adds the fun factor! I wonder what fragrances will be in the May addition? Find out and visit Secret Scent box to subscribe and discover new fragrances. X Neil.